Eugenia Rico is considered to be one of the most prominent Spanish writers of the last several decades by Leer, El Pais, El Periodico de Catalunya. She is the rare combination of a best-selling author who has also earned critical acclaim. 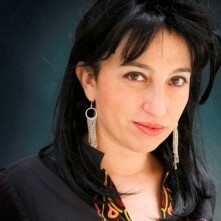 She is the recipient of numerous literary awards such as the Premio Azorín in 2002 for her novel "La muerte blanca", a finalist of the Premio Primavera de Novela in 2004 for her novel "La edad secreta", the Premio Ateneo de Sevilla in 2006 for her novel "El otoño alemán", and received as well the prestigious Valle Inclán Fellowship, awarded for the year 2003/04 by the Real Academia de España in Rome. Rico’s articles and essays have been featured in Revista de Occidente, El Pais, El Mundo, La Nouvelle Revue Française, and Der Spiegel. After publication of Rico's sixth and latest novel, "Aunque seamos malditos" (Although We Are Damned), El Pais, Spain’s leading newspaper, raved, “It is the best novel written by a Spanish writer this century”. Although she prefers to call her novels “pleasure mechanisms”, they are considered by academics to be a new genre of novel — the “European” or “Interactive” novel. Rico has also found acclaim In Germany. Daniel Kehlman declared her “the most important voice in contemporary literature in Spanish”. Deutschland Kultur Radio called her “the new star in literature from the Spanish speaking countries”. Der Spiegel considers Rico “the only Spanish writer to be adopted by Germans in 30 years”. Rico has also taught Creative Writing, and worked in the conversion of mining communities, which won her the Spirituality Award in 2005, and an UNICEF award.